Did you vote in the November 6th Elections? If you said yes to both of those questions, we need your feedback. Disability Rights Wisconsin is partnering with Self Advocates Becoming Empowered (SABE) on the SABE GoVoter survey. 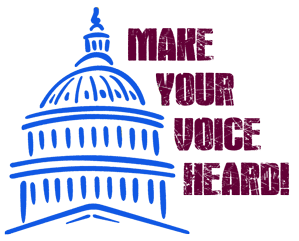 The survey collects information about the voting experiences of voters with disabilities in the November 6th election. You may complete the survey online, or complete a paper survey and mail it in. Many voters with disabilities have had problems voting. Sharing your experience will help us learn if the voting barriers still exist or if they have improved. We will share what we learn with local, state and federal election leaders to protect our right to vote!